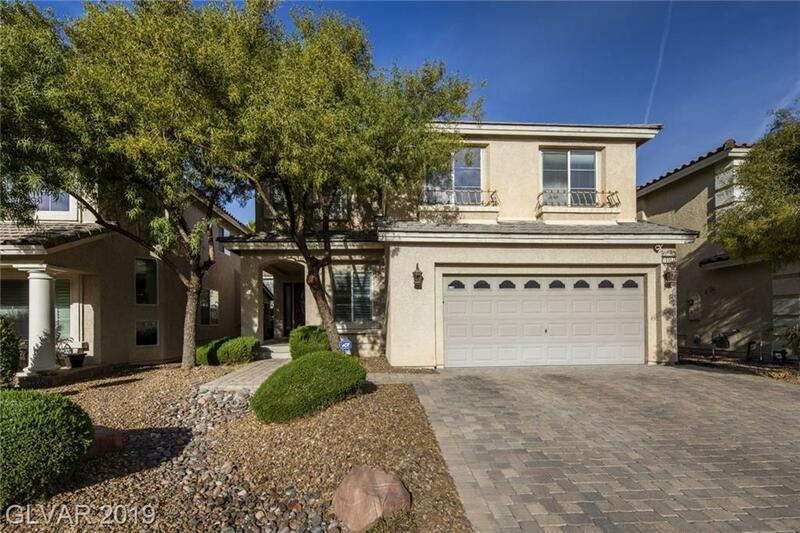 Beautiful guard gated home in Southern Highlands with pool and spa! Cul-de-sac home, brand new pool solar panels, central vacuum up and down, wired speakers in every room, island kitchen, pantry, stainless kitchen appliances, ceiling fans in all bedrooms, wood shutters throughout, brand new water softnener, 1 year old water heater , 2 walk-in closets in the master, downstairs is all tile, hard wired for ADT security. This home is a must see!